Profile	Who is Muddy Publishing? We are a small but experienced design company with a passion for multimedia, illustration, publishing and e-learning. Our aim is to produce custom designed interactives and visuals that inform, engage and stimulate users across a wide cultural audience. Muddy Publishing is owned and run by Tina and Matt Buckingham who have been creating online educational artefacts and illustrations for more than 10 years. We pride ourselves in producing exciting and inspiring material that makes learning fun. "Visual and engagement designers with a passion for learning and publishing"
Tina is an award winning designer with a BA (Hons) and a Masters Degree in Interactive Multimedia. She has many years of commercial experience working on projects for some excellent clients including: The Royal Collection Trust, The Canal and River Trust (formerly British Waterways), The Wallace Collection, Birmingham Museum and Art Gallery and more. 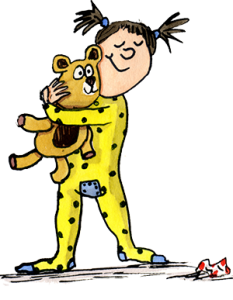 Matt has been writing and illustrating children's books and media since 1998, his most famous work includes the best selling picture book series Bright Stanley, along with many other children's books including Nobody Laughs at a Lion!, The Not So Abominable Snowman and Peek-a-boo Penguins. Matt has also worked for a wide variety of clients from the BBC to Mencap solving creative problems for editorial and advertising projects. "We love the challenge of bringing heritage and culture to life"